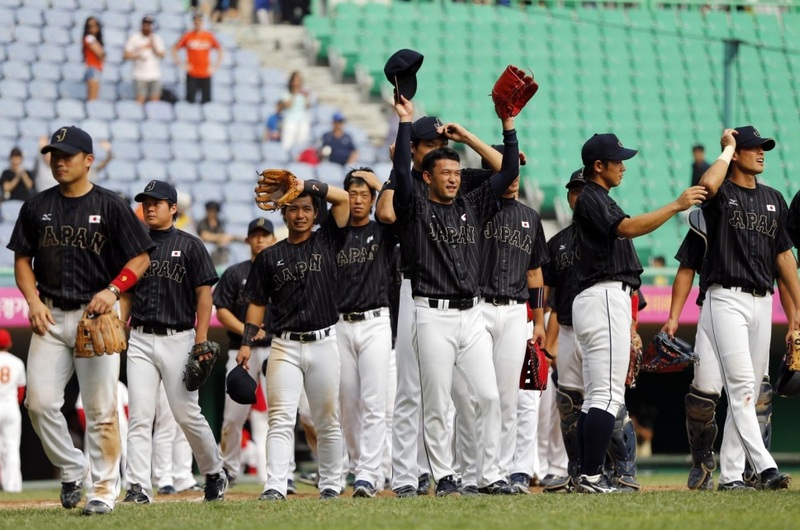 Japan defeated China 10-0 in seven innings under the mercy rule and won a bronze medal. Japanese starter Ryota Sekiya pitched six scoreless innings, giving up only two hits. 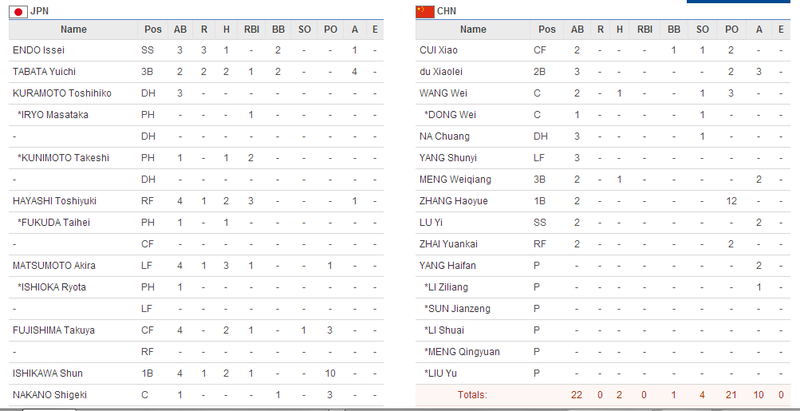 China used six pitchers, but couldn't prevent the Japanese onslaught. For Japan, lead-off batter Issei Endo drew two walks and scored three runs. Akira Matsumoto was 3-for-4 with an RBI. Japan was relegated to the bronze medal game after losing to Chinese Taipei in the semifinals on Saturday. China had fallen to South Korea in the semis, also on Saturday. Baseball delivered a strong pitch to the world here tonight in its bid for Olympic inclusion after South Korea won a topsy-turvy and engrossing final over tenacious Taiwanese opposition in an electrifying atmosphere with a score of 6-3. The most popular sport in the host nation, the baseball competition has provided more cause for excitement among the locals than any other during these Games, with the fact that some of the strongest players in the country were part of their team an added boost. It was South Korea's fourth title in the last five editions of the Asian Games, with their first victory coming the last time they took place on home soil, in Busan in 2002. They also took gold the last time the sport was featured on the Olympic program, at Beijing 2008, after pushing Cuba and the United States into the minor medal positions. But strong signs have been given that the sport will return in time for Tokyo 2020 as an outcome of the ongoing Agenda 2020 reform process in the Olympic Movement, with the likes of International Olympic Committee President Thomas Bach and Olympic Council of Asia chief Sheikh Ahmad Al-Fahad Al-Sabah recently speaking enthusiastically. And with more evenings like this in the offering, there will be plenty to look forwards if these signs do become a reality.